18-year-old Jyoti has been fighting a severe form of cancer called Rhabdomyosarcoma. Rhabdomyosarcoma is a type of sarcoma. Sarcoma is cancer of soft tissue (such as muscle) or bone. 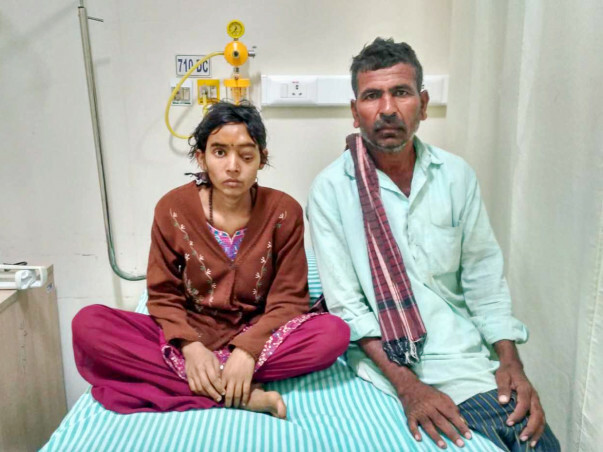 Unfortunately, despite treatment, Jyoti's cancer has relapsed and she needs to immediately begin her chemotherapy and undergo a bone marrow transplant before it is too late. 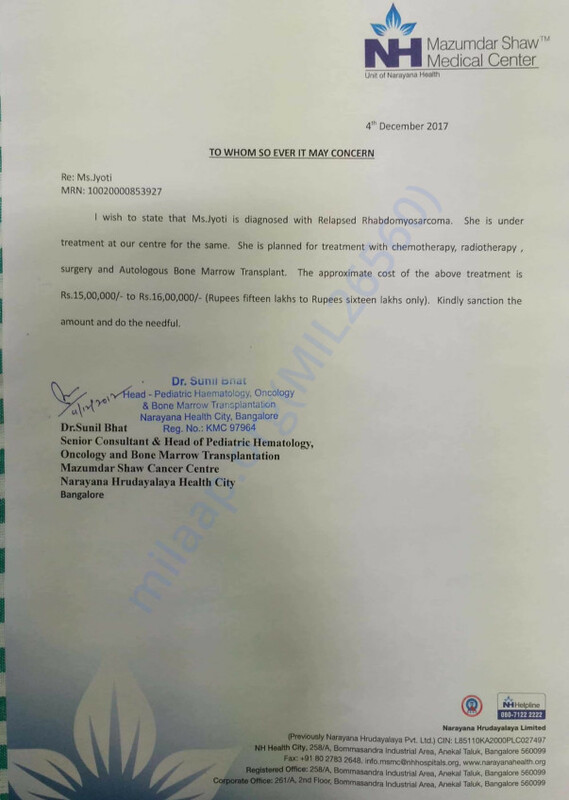 The total cost of her chemotherapy and transplant is 16 lakhs but unfortunately her father Gullapa earns only 5000 Rs a month and does not have the funds to save his daughter. Your contribution can give Jyoti the treatment she deserves. Get well soon!! God bless!